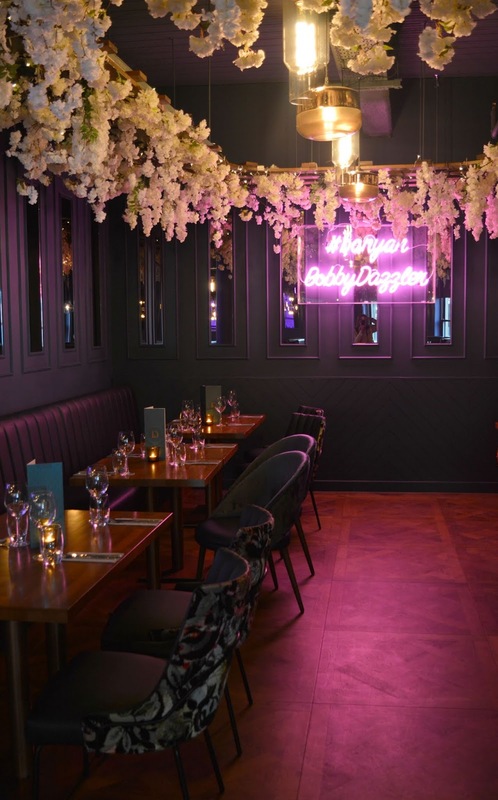 If ever there was somewhere that was built for Instagram, it's Banyan - Newcastle's newest bar and restaurant ticks pretty much every Instagram box going. Opening on the site of Jamie's Italian Restaurant (RIP), it has a prime location in the centre of Newcastle and so has become the most anticipated opening of the year so far. But what can you expect if you head to the most instagrammable new bar and restaurant in Newcastle? 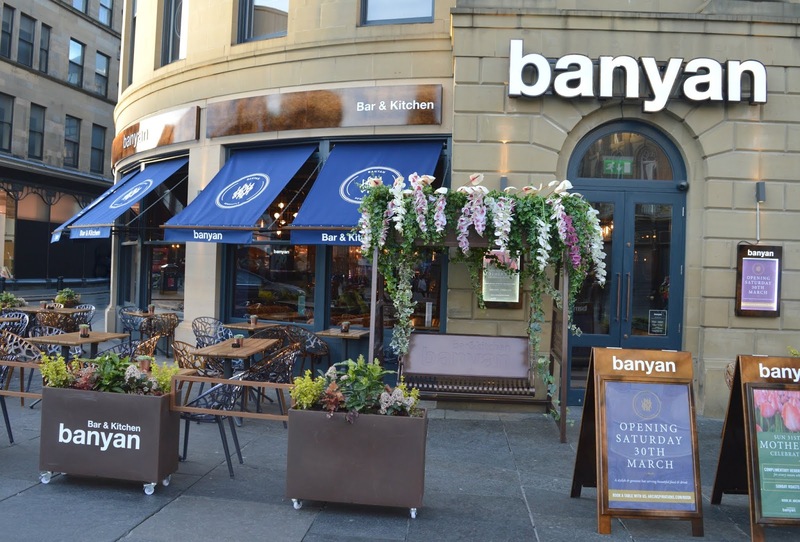 Banyan is a northern restaurant with eight others to be found across Yorkshire and Manchester and having heard a lot of buzz around their restaurants I've been counting down to the Newcastle opening ever since I first heard they were taking the space. Monument is the main hub of Newcastle and personally I always feel that there's room for more restaurants in the area to impress the city's visitors and to give us locals somewhere to head after work. 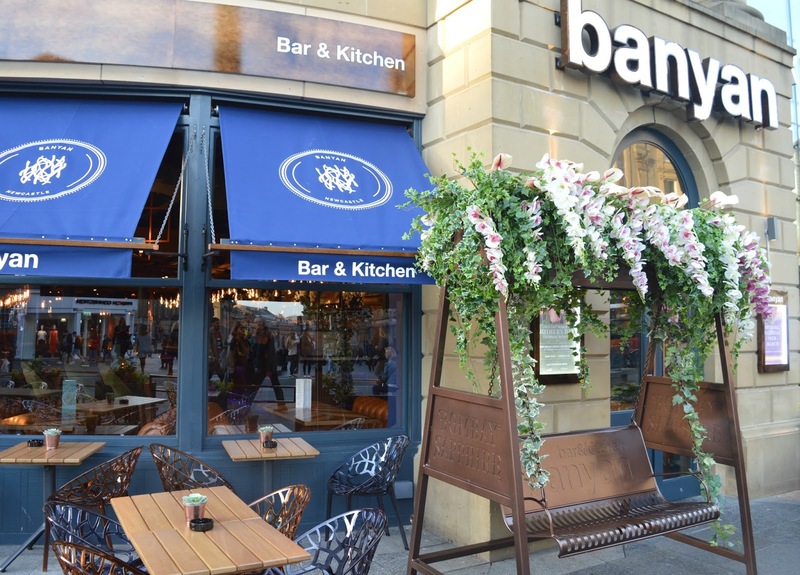 Perhaps the most perfect thing about Banyan is its location in Newcastle. 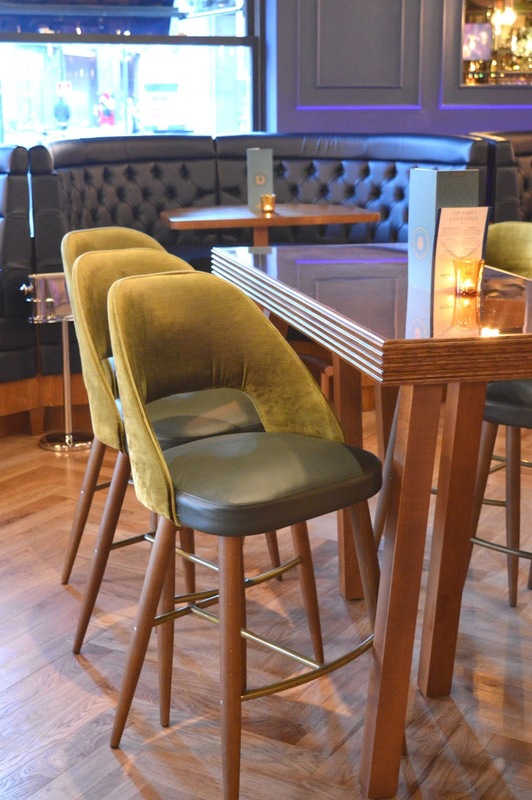 With the bar and restaurant being named after the Banyan Tree, a natural meeting place for villages in Southeast Asia, it's very fitting that its North East restaurant is located at Monument, somewhere that the people of Newcastle often use as a meeting place. How often do friends say "meet you at Monument"? I love that we now have such a great place to actually meet. If you were to play Instagram Bingo in Banyan it wouldn't be long before you had a full card, in fact you'll find a floral swing before you've even made it through the front door and I've already seen a fair few people enjoying a swing outside the restaurant. Once inside Banyan you'll discover a world of flower ceilings and neon signs that make it impossible not to get out your phone and take a quick photo for "the gram". 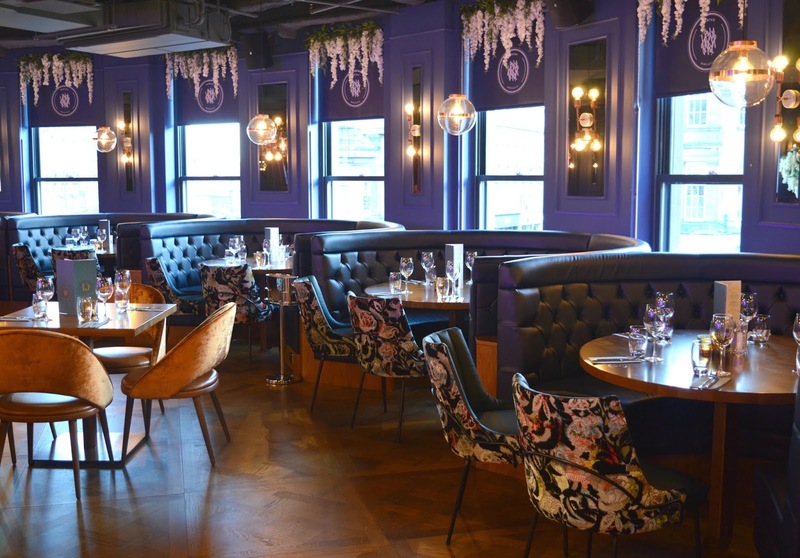 Every corner of the bar and restaurant is Instagrammable and it really is a huge transformation to how the building looked before - Banyan is certainly dressed to impress. It's the toilet that really needs to be seen though, it's a little like walking into a jungle and it is absolutely breathtaking (believe me I never thought I'd be saying that about a toilet either!) It is a little bit of a mission if you actually need the loo, I had to battle my way past hordes of girls taking selfies in the mirror to get myself into a cubicle but who can blame them! The downstairs of Banyan is decked out in earthy tones with a nice long bar, comfortable booths and plenty of space for the city's drinkers. It's definitely a better use of the space than before and I think the downstairs area will be perfect if you're just wanting some drinks after work. I'm hopeful that the size of the bar will make it easy to get a drink during busy periods and having already tried a couple of their cocktails (I highly recommend the Geisha Girl) I know as soon as the initial buzz calms down a bit I'll be in there enjoying a tipple or two. The upstairs of Banyan is seriously impressive and the first time I walked up the stairs I was pretty stunned at how fabulous everything looked, it's impossible to get up to the top step without letting out a little "wow" There are flowers and plush seats everywhere you look and the booth style seating at the windows offer picture perfect views of Newcastle down below, ideal for admiring our beautiful city. 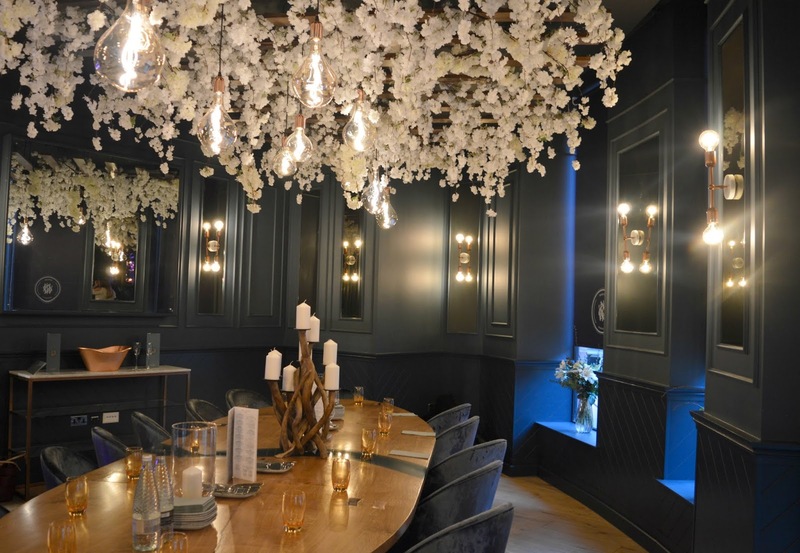 Of course, it's no good having all of these beautiful interiors if the food and drink is no good! I did have a two course meal during my first visit and although I have no photos to show you (sitting near a pink neon light made photographs impossible) I can report back that we had a pretty decent meal. I'm particularly impressed that they use a lot of local favourites including Di Meos ice-cream (we all know how obsessed I am! ), Geordie Bangers and Craster Kippers - I'm always so glad when a restaurant makes a real effort to source their food from the North East. The menu is a nice size with plenty to choose from without being overwhelming - it was impossible to resist one of their burgers so I had the Brie Burger (£13.95) - a beef burger stacked with a brie wedge caramelised onion chutney and mayo which was really good followed by Geordie S'mores (£5.95) - toasted marshmallow, fruit compote and double chocolate cookie sandwich which was deliciously rich and gooey. I'm hoping to return to have a proper try of some food soon, I have got my eye on their brunch menu, they do Sunday lunches and I've heard rumours that they may start doing an afternoon tea. Let me know if you've been to Banyan yet and your thoughts. I enjoyed a complimentary two course meal at Banyan, it was as part of their soft launch so in return for honest feedback rather than a blog review. I'll be working my way through them all! Challenge accepted! I'm going to make it my new meeting place! I love banyan. That swing though! :) And as you say, the interior is just insta perfect. Can you believe I haven't even been on that swing yet!